Your CV is like your very own advertisement – a chance to sell yourself to employers and tell them exactly why they should hire you. It can be tricky to know how to write a CV, especially if you’re young and you haven’t had any/many jobs (if this is you, our advice on how to boost your CV as a secondary school student is definitely for you!). So our student CV tips are here to help you make sure that your “ad” does the job. We’ve put together a handy reference guide for you so that you can be confident that you’re on the right track. The general rule is that your student CV shouldn’t be any longer than two sides of A4. Be concise and pull out your key skills and experience but don’t go too far in the opposite direction and leave off important things either. If it’s less than a single page, have a think about whether you’ve forgotten something. If you’ve got lots to say, don’t try to get too clever with teeny tiny margins and big blocks of text to cram it all into two pages as that can be off-putting. Just prioritise the most important aspects that highlight your skills. What should I include when I write a CV? The checklist below will help keep you right. Personal details – full name, address, phone number, email address. Personal summary – this isn’t essential but can help you stand out from the crowd. Use it to summarise your education, work history and aims in a couple of sentences. Main achievements – again, not essential, this can be a good chance to show yourself off. You could include things like winning an award, doing work experience or being captain of a team or club. 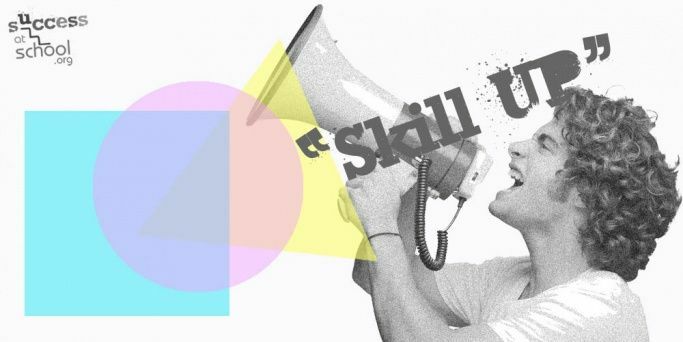 Skills – List your key skills and give practical examples of them. Skills to put on a CV can include organisation, communication and interpersonal skills. Work experience – this can be actual work experience, internships, voluntary roles or any previous jobs (including Saturday/holiday jobs). Include job title, dates you worked there and a summary of your tasks. Education – list all your qualifications (eg GCSEs, A-levels, NVQs) and the school(s) you went to, giving dates of when you attended. Interests – add a few lines about hobbies or personal projects (like a blog or website you created, or learning a language in your spare time). You don’t have to have this section either but if you’ve got something good to put in it (and we don’t mean “going on Instagram”) then you should. It’s not worth including the usual stuff like going to the cinema or reading though. Referees – it’s a good idea to include two people who can give you a reference. Usually this is someone who has managed you in a job or work experience and/or a tutor or teacher. No matter how much experience you have, the best advice is to keep your student CV to two pages or less. Employers don’t have much time to read them, so get all the important stuff on page one for them to see. Nothing puts a potential employer off more than a CV with typos. Make sure you read through it several times before you send it off so that there are no spelling or grammar gremlins. If possible, ask a friend or relative to read through it too because two pairs of eyes are better than one, and it's always harder to spot your own mistakes. Every time you pass an exam, do some work experience or get a new job, you need to update your CV. Your CV represents who you are and all your achievements in the world of work, so it needs to grow with you. If your contact email on your CV is cheekygirl201@randomemail.com it doesn’t give off the most professional vibe. If you need to, open a new email account for job applications and use your full name as your email address. Just as you should write a CV every time you achieve something new, you should think about making small changes to highlight specific skills for different jobs. For example, if a job description emphasises the need for IT skills, think of some extra examples for your CV or make sure to explain when and how you used computers in your work experience. List your highest qualifications first, e.g. A-levels before GCSEs and degree before A-levels. The same can be true with work. If you’re just starting out, put your most impressive and relevant work experience first. That means your two-month internship can go before that week of work experience, even if it was less recent. Don’t just write, “I have excellent communications skills”, you need to explain why, otherwise the employer reading it will have to take your word for it! Instead write something like, “I have developed strong communication skills through my part-time role as a shop assistant, which involves customer service and support”. Remember, every time you make a statement about your skills, back it up with a qualification or an example of experience gained at work or school. There is no need to add a photo, your date of birth, relationship status or even your gender. Employers don’t expect it and it can also lead people to make judgements about you that they might not otherwise. Let your skills and work experience do the talking. Adding some formatting and a splash of colour to your CV can be great, but don’t go too far. When people do really creative things with their CVs, it’s usually because they are tailoring it to a specific job. For example, a designer applying to a creative company might decide to write a CV as an infographic to make them stand out. That could catch the eye of an art director, but it might not work if they were applying for another job as an admin assistant. Make sure that your basic CV is straightforward and text based. Don’t say you’re fluent in Spanish unless you really are and don’t claim to be an expert at picture editing if you’re only able to crop them. Be honest about your skill levels. Say if you’re in the middle of studying something at a higher level, but don’t say you’re a pro until you get there. Check out our applying for jobs advice section for more top tips on things like how to write a covering letter and what to wear to job interviews. Do you have any of your own tips on how to write a CV? What else would you put on a CV?